Viacom18 Media Pvt. Ltd. has hired Raj Nayak as the new Chief Executive Officer of its general entertainment channel Colors. Viacom 18 is a joint venture between global media and entertainment network Viacom Inc and Network 18 Group in India. 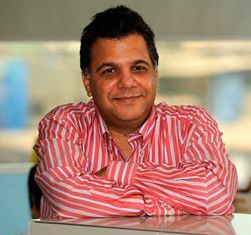 He replaces Rajesh Kamat, chief operating officer, Viacom18, and chief executive officer, Colors, who quit last month to join Peter Chernin's company CA Media as its India CEO. Nayak was previously the founder and Managing Director of Aidem Ventures, a media knowledge process outsourcing, consulting, sales and marketing company. Nayak formed Aidem Ventures after a seven year stint as CEO of NDTV Media, which offered advertising sales and marketing services to television channels. Prior to that, Nayak was the Executive Vice President, Sales & Marketing at STAR TV Group. He was also on the Board of Vijay TV & Indya.com. Viacom 18 runs channels such as MTV, Vh1 and Colors. As part of his new mandate, Nayak will be responsible for driving the brand and the business towards profitability and growth, and will be reporting to Haresh Chawla, Group CEO â€“ Viacom18, according to Business Standard.